From exhumed graves and axe murders to the haunted triangle of “Second Salem,” these legends (and spirits) will never rest. 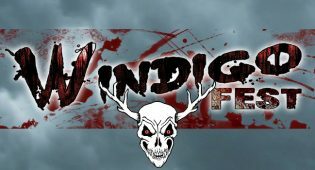 As if there weren’t enough reasons to go to Windigo Fest Oct. 6-7, a local business owner claims it’s actually going to summon Satan! A new coffee table book by Misty Keasler features photos of haunted houses from around the US. Enter to win a box of ghoulish goodies from Wisconsin Frights! The scariest haunted houses in Wisconsin ranked so you can find the most scream for your money this Halloween. From serial killers and cannibals to disturbing cases of demonic possession, Wisconsin has no shortage of monsters, ghosts, and real life boogeymen. The elaborate display includes the stairway to Heaven, highway to Hell, and a Rainbow bridge full of bony companions. Add Wisconsin Frights on Snapchat for Halloween fun, spooky adventures, and other Wisconsin weirdness. What is a German Serial Killer’s Severed Head Doing in Wisconsin Dells? The mummified head of deranged murderer Peter Kurten can be found at the Ripley’s Believe It or Not! in Wisconsin. Prepper-built fortress complete with secret rooms and passages, dungeon, and doomsday bunker for survival. The best books on Wisconsin’s haunted history, strange places, bizarre creatures, gruesome legends, and more. The ship sank in Lake Michigan on a foggy Halloween morning off the coast of Port Washington almost 100 years ago. Watch the short horror film by Milwaukee filmmaker Mark Borchardt that was made famous by the award-winning documentary American Movie. New film from Mark Borchardt focuses on the Dundee UFO festival and alien encounters on the shores of Long Lake. Watch Ghostbusters in a cemetery this August in Wausau. One of the weirdest horror movies of the 1980s was filmed almost entirely in Beaver Dam. Based on the graphic novel by Derf about his high school friendship with Wisconsin cannibal and serial killer Jeffrey Dahmer. Milwaukee horror punk band will have a song about the legend of Hogsback Road in the upcoming short horror film Goatman. These haunts may have given up the ghost, but they will forever torment the memories of our childhood vacations to the Dells. Vandals paint pentagram inside the historic first Estonian church in Gleason, Wisconsin. Five short horror stories by Wisconsin authors featured on the Weird Darkness podcast. Get ready to kiss your paycheck goodbye. This video showcases horrific highlights from the 2017 Distortions Unlimited Halloween prop catalogue in action. The Texas Chainsaw Massacre begins in the bloody new red band trailer for Leatherface. Were the glamorous showgirls of the Ziegfeld Follies cursed? The spirits in Shaker’s Cigar Bar are so restless the pub is being featured in an upcoming Netflix series about haunted places. New haunt is raising money for a 2018 launch in exchange for free tickets opening season. In 1928 a Wisconsin friar participated in an extreme case of demonic possession and exorcism that inspired The Exorcist. Looking for a scream this Halloween? These are the scariest, top-rated haunted houses in Wisconsin! Watch this brutal Wisconsin-made horror flick for free now on Amazon. Catch the Wisconsin Paranormal panel at the upcoming Wizard World Comic Con in Madison for tales of Wisconsin’s real-life X-Files. A killer show featuring bands, belly dancing, burlesque and sideshow performances to benefit the Milwaukee Paranormal Conference. Undead Packers and Vikings go head to head in this year’s annual skeleton Halloween display by mastermind Jimmy Zamzow. All-natural beeswax human spine candles handmade in Wisconsin. The Nightmare Collection from BuyCostumes.com features 14 gruesome new Hollywood-quality monster masks by master sculpture Mario Chiodo. Looking for the scariest haunted houses in Wisconsin? Wisconsin-made low budget horror film The Giant Spider Invasion has become legendary as the best worst movie ever made. Thinking about Halloween yet? Maybe this promo teaser video for Wisconsin Frights will help get you in the haunting mood! If crawling through dark, tight subterranean spaces while being chased by ghouls sounds like a good time, don’t miss Screamin’ Acres new Crawl Space attraction for 2015! Wisconsin Dells ghost boat ride into haunted canyon opens Memorial Day weekend. 6 men lost their lives when the tugboat Wisconsin sank in 1941. Since its restoration, strange phenomena have convinced some that those men never left it. Paranormal experts, authors and investigators gather for the first ever Milwaukee Paranormal Conference, featuring guest speakers, panels, vendors and events. Every year on Hwy 167 near Holy Hill you can a large Halloween display of skeletons. This year’s theme is Wizard of Oz, complete with skeletal munchkins! Bloody and brutal indie horror from the minds of Wisconsin’s demented filmmakers. This creepy abandoned church in Gleason, WI has a long history and is tied to a legendary Wisconsin horror film icon. You probably didn’t know these horror movies were filmed in Wisconsin. Which of these homegrown horror flicks have you seen? 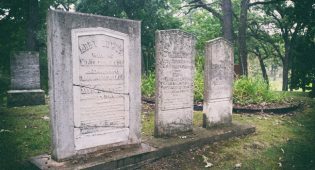 Tour the Forest Home Cemetery Chapel in Milwaukee, home to Wisconsin’s first crematory built in 1896. Ever wonder what it’s like to get buried alive? Experience the blood-curdling terror at Misery Haunted House in Little Chute, WI with the burial simulator!